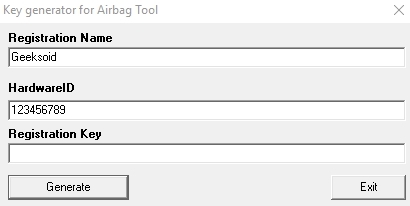 Software to remove crash data from the airbag ECU dumps. It covers more than 110 models of airbag ECU models. 46 76 63 85 with 24C04 I2C MEM. 46 80 59 05 with 24C04 I2C MEM. 46 83 55 21 with 95080 SPI MEM. 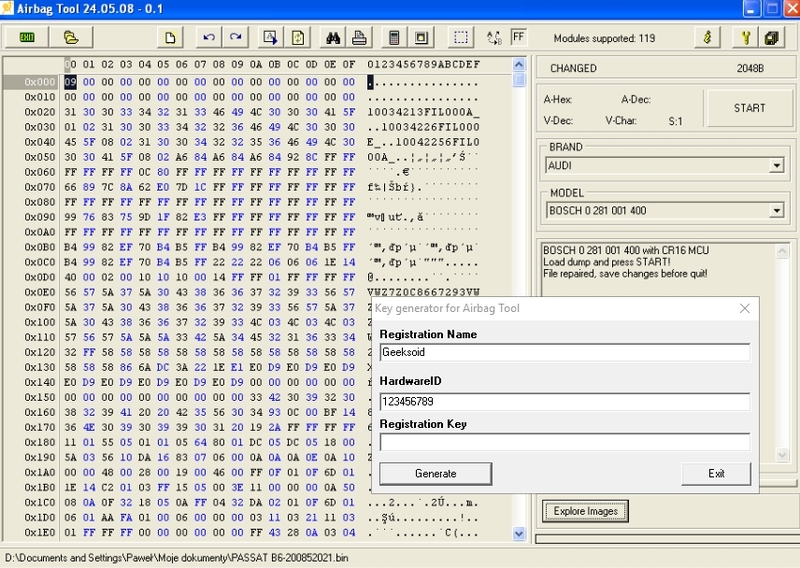 51 71 90 96 with 24C04 I2C MEM. 51 72 65 75 with 24C04 I2C MEM. Siemens 2S6T 14B056EN with 95160 SPI MEM. Siemens 2S6T 14B056EP with 95160 SPI MEM. Siemens 2S6T 14B056HA with 95160 SPI MEM. Siemens 2S6T 14B056JA with 95160 SPI MEM. Visteon 1S7T 14B056BE with 95080 SPI MEM. Visteon 1S7T 14B056BF with 95080 SPI MEM. SIEMENS 95910-3D200 with 95080 SPI MEM. Temic module 0008208026, MCU HC11E9.